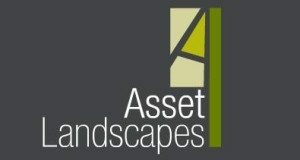 Asset Landscapes will work with you to design the perfect outdoor area, whether it’s for a commercial project, local government or private residence. We will sit with you and design a landscape concept that will not only be aesthetically pleasing but perfect for everyday and public use. One of the biggest investments you can make is installing a pool in your backyard. We can help you map out the best way to landscape your pool to ensure you get the most of your space. The place to relax and entertain family and friends. Also an important space where you can showcase your backyard. Kids need to have a functional space which allows their creativity to flow. It also needs to be easily maintained and visible from all areas of the yard. Not only do they provide shade and shelter but are used to create amazing outdoor kitchens and entertaining areas. Timber decking is a fantastic choice of material. It helps soften the hard landscaping used and can also provide a great contrast of colours and textures. Split level blocks can be hard to navigate and a construction company’s dream when designing your backyard. Split level and stairs offer elements that cannot be achieved on flat level blocks. A carefully planned and throughout garden a head of time can ensure maximum benefit and usability in the future, garden planning is a vital step in the construction of your new backyard. Sandstone is becoming ever more popular in landscaped areas as it provides warmth of colour for cooler months and provides a cool texture for the summer ones, it makes a perfect feature to any sitting area and can be used for full feature walls, stairs or retainings. Uneven blocks can be hard to navigate, or a construction company’s dream when designing your backyard. Split level designs and stairs create elements that are hard to achieve on flat level blocks. they really enhance the surroundings and provide seperate areas for enjoyment.